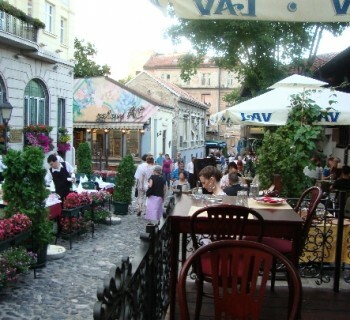 Shopping and buying in Serbia. What to buy, bring from Serbia? Home>Articles about Serbia>Shopping and buying in Serbia. What to buy, bring from Serbia? 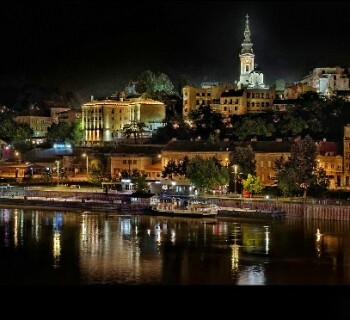 Serbia attracts tourists with beautiful architecture,beautiful nature, health resort. Stay in this beautiful country will not do without a visit to the Orthodox holy sites, tours through the galleries, museums and, of course, shopping. Shopping in Serbia, you can go to the mallUSCE in Belgrade where you can meet friends Sephora, Terranova, Zara, Adidas, Accessorize, Tally Weijl, Lush. The second noteworthy supermarket - it is "of Delta City" in New Belgrade, is also a "Beograzhdanka" and "Millennium." It is recommended to buy fruit wine or brandy (plum brandy or Viljamovka) since in small shops they can not be, as in duty free choices are limited. Shoes, which would have all womenSoviet Union - "Educate Beograd": quality is high, but the model - for an amateur. In Serbia, since socialist times developed leather production, so the shoes, bags, gloves, belts - durable and strong. Genuine leather and 100% hand-made opantsi - Serbian clogs with bent noses. You can buy a full-size, miniature and it is possible - this two-centimetric souvenir. You can bring products Kolubarski lace - cloths, collars, cloths, etc., but it is handmade, Irish crochet technique and things are quite expensive. Good linen and knitwear production Serbian Extreme Intimo bright and fun colors. These things are better to buy or supermarkets, or in smaller chain stores. Souvenirs in national style - Gingerbread Heart. In Sambor painted gingerbread hearts are made for about a hundred years old, and they say, there are the most delicious. In Novi Sad, in the Petrovaradin fortress, you can buy an original T-shirt with Serbian symbols in an unusual round box cost about 20 euros. Serbian National šajkača headgear - cap-cake is green, it is still true traditions are Serbs, is sold in all the souvenir shops. In Serbia there are many Orthodox shrines - monasteries Studenica and Sopochany included in the list of world cultural heritage by UNESCO. The church benches in churches can buy Orthodox icons. In the supermarket or grocery market can bebuy a jug with dried plums, a true Serbian souvenir. Many shops Serbian cities you can buy olive oil and goat cheese. This Greek products, but so delicious, no matter who made them - bought something in Serbia. You can also buy embroidered bag with basil or real honey in clay pots, healthy and tasty, a souvenir just will not gather dust on a shelf.